Ready to use... simply print and distribute. 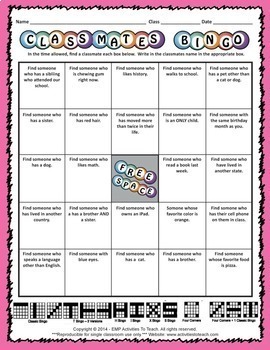 This "people bingo" card is a great ice breaker for any classroom and gathering with kids or teen. All they need is a pencil and their bingo card. 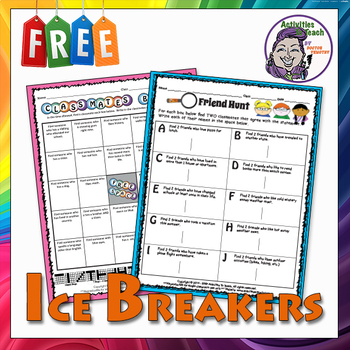 Friend Finder is social ice breaker game that helps kids talk and meet fellow classmates. 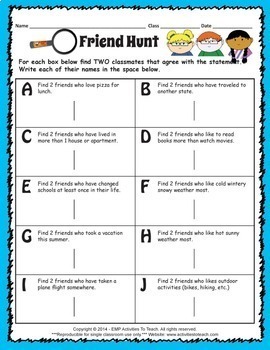 Helps students find new friends with similar interest. All you need a pencil and a copy of the Friend Finder sheet.